Our work extends beyond our three main hubs, forging relationships across many regions, countries and sectors. In addition to its three main hubs, DADAA works with other organisations to take our services and programs to communities, or to develop new services and programs that enhance access to arts and cultural activities for artists and audiences. 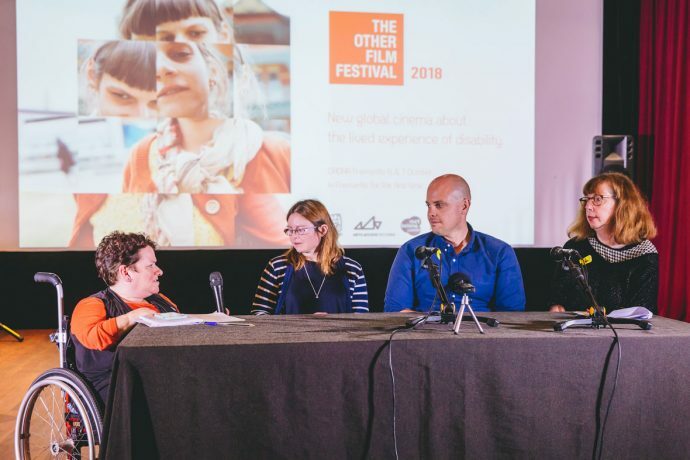 Arts programs can be customised to respond directly to the needs of your community or clients, to ensure inclusive practice or to bring new audiences to your organisation. DADAA’s strategy of partnering across multiple sectors is key to delivering effective programs that carry the social impact needed to change people’s lives. Our partnerships between the artists, communities, governments and businesses with whom we work ensure reach, impact and sustainability of projects. We follow a process of broad consultation with all stakeholders and community participants when we commence a new project. Models of practice are designed to reflect best practice, co-creation and need. With funding from Australia Council for the Arts, the WA Department of Local Government, Sport and Cultural Industries and the WA Department of Communities, DADAA is recognised nationally and on a state level as a key arts and disability organisation. Over our 23-year history, partnering with local governments has been instrumental in reaching communities to address local needs and support local government cultural strategies. We have particularly close collaborative ties to the local governments areas in which our hubs are located: City of Fremantle, City of Swan and Shire of Gingin. For the past 10 years, DADAA has made it standard practice to collaborate with researchers from the university sector, including The University of Western Australia, Murdoch University, UNSW (Centre for Social Impact), University of Durham (UK) and University of the Free State (South Africa). As we build our creative hubs, academic partnerships will play a key role in developing contemporary arts practices, conducting evaluation and research, and contributing to DADAA as a knowledge hub in arts and disability. DADAA is well-placed to work in partnership with private businesses to develop community and social responsibility programs that are arts-based. We also work in this sector to deliver disability awareness training. Watch the short film below, BELONGONG Paraburdoo, that saw DADAA partner with Rio Tinto Iron Ore to engage the small regional community of Paraburdoo in an arts-based project, FIVE, around the role of ‘belonging’ in wellbeing.